Updated December 12, 2018: We first learned the exciting news a couple weeks ago: Netflix is premiering a new docuseries that includes an episode about the Chanel Haute Couture S/S 18 show. The series, called 7 Days Out, chronicles the frenetic week before several different major events, including the Kentucky Derby and a NASA mission, but you can bet we'll be waiting with bated breath for the Chanel episode in particular. Scroll down to see the first trailer for the new Netflix docuseries. Originally published on November 30, 2018: In case there was any doubt, we can now confirm that Netflix has an evil plan to make you spend the entire holiday season binge-watching on the couch. Per WWD, the streaming service has just announced a major new addition to its December lineup: a docuseries that includes an episode chronicling the Chanel Haute Couture S/S 18 show, which was held in Paris back in January. The docuseries, dubbed 7 Days Out, will premiere on Netflix on December 21. It's directed by a familiar name in fashion film: Andrew Rossi, who also helmed The First Monday in May, the behind-the-scenes look at the Met's famed Costume Institute exhibit and gala. For the Chanel episode, Rossi followed Karl Lagerfeld and his team as they put the finishing touches on the show. Get ready to swoon because we can expect to see glimpses of Chanel's legendary ateliers and up-close and personal looks at the craftsmanship that goes into couture creations. WWD reports that 7 Days Out will also chronicle other leaders in fashion, sports, and entertainment, so stay tuned as we learn more about the other episodes. 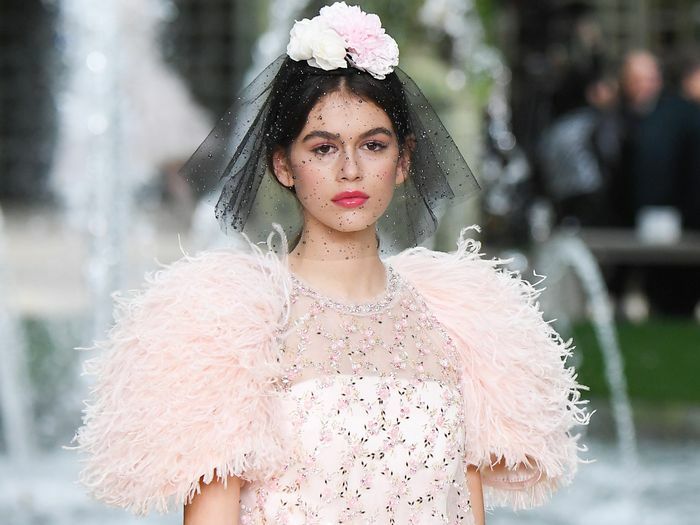 In the meantime, scroll down to revisit the dreamiest looks from Chanel's S/S 18 couture show. Next up, see Mandy Moore's dreamy pink wedding dress.